The IBM Option 3253 with part numbers 85Y6185, 49Y7443, 49Y7433, ST9300653SS, MK3001GRRB, HUC156030CSS20 & ST300MP0005 is a 300GB 15k RPM SAS hard drive for use specifically with IBM Storwize V7000 and Storwize V7000 Unified Disk Systems. Whether you’re upgrading your IBM enterprise storage or simply looking for a replacement hard drive, we have what you need. If you don’t see the part listed that you’re looking for, please use our Contact Us form; as we have many parts in inventory that are not listed. Please note that all IBM hard drives sold by SPS Pros are used / refurbished, fully-tested, and backed by a 60 day warranty. 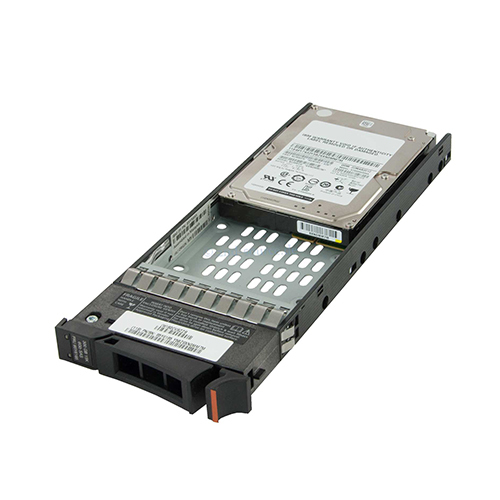 The IBM 85Y6185 300GB 15k SAS HDD is also known by part numbers 2076-3253, 49Y7443 and 49Y7433. IBM 85Y6185 2.5-inch high performance enterprise-class IBM Option 3253 supports the exacting requirements of compute-intensive environments. With a 15,000 RPM spin speed, 6 Gb/sec SAS interface, and top capacity of 300GB the IBM Option 3253 drives leverage an enhanced power condition state that reduces drive spin in idle states, significantly lowering power consumption. Lower power consumption also means lower heat dissipation, which increases system stability, and less energy use. This saves enterprises money and reducing the impact on the environment. As part of its commitment to improved security, select models of the IBM Option 3253 features self-encryption technology (AES-256) designed to the Trusted Computing Group (TCG) “Enterprise SSC” specification. SED technology provides simple and complete data security throughout the drive’s usable life cycle – with no performance impact – and enables organizations to crypto-graphically erase protected data securely, enabling the ability to return, service, re-purpose, or retire drives without lengthy data overwrite operations or physical destruction of the drive.